Test runs are perhaps the most prized possession of any batsman. A Test century, by all means, is an accomplishment of a dream. At the same time, getting out without troubling the scorers is perhaps the greatest agony. However, such is the magic of Test cricket, that there have been instances when captains, the leaders of sides, have had to confront both these scenarios in a single match. The dawn of a century and the dusk of a zilch! Now, let's have a look at all the 18 instances in the history of Test cricket when the skippers got glorious tons and excruciating ducks in the same Test. The Team India skipper is in the form of his life. His purple patch doesn't seem to fade away anytime soon. With every passing game, the 29-year-old makes and break records at will. During the recently-concluded first Test against Sri Lanka at Eden Gardens, Kohli got a rather weird record to his name. The Delhi batsman became the first Indian captain to register a duck and score a century in the same match. 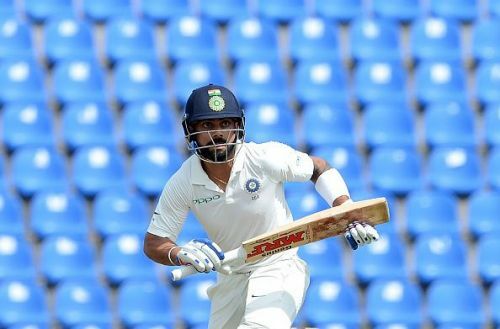 Kohli, who failed to score in the first innings, came back stronger in the second innings to score an unbeaten 104 to propel India to a total of 352/8. Owing to bad light, the match ended in a draw. The ton in Kolkata was also Kohli's 18th in Tests and 50th across formats. He is now the joint-fastest to score 50 international centuries, along with Hashim Amla. During this 2016 Test against England at Lord's Misbah-ul-Haq's push-ups celebration grabbed the limelight. When the Pakistan skipper walked out to bat in his debut innings at the iconic ground, the visitors were reeling on 77/3, but Misbah scored a scintillating 114 runs and led his team to a total of 339. In the second innings of the match, Misbah was dismissed on zero by Moeen Ali but ultimately Pakistan won by 75 runs and took 1-0 lead in the four-match Test series.